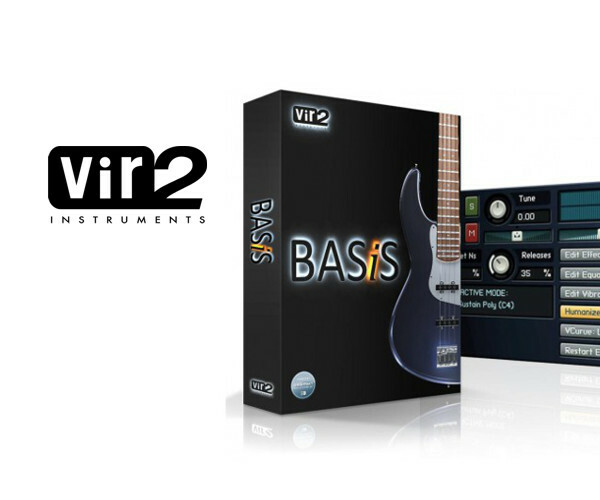 Become master of the low end with BASiS, a breakthrough new virtual instrument from Vir2 Instruments. Featuring a comprehensively sampled collection of electric, upright, fretless, and synth basses, BASiS offers incredible attention to detail in the depth and breadth of the basses: 24-bit sampling, DI and amp blending control, multiple velocity layers, seamless humanizing, custom legato and vibrato tools, release layers, harmonics, hammer-ons, pulloffs, slides, slaps, rakes, falls, and more. BASiS includes more than 7 gigabytes of the most diverse collection of basses available in the world of virtual instruments: classics like the Jazz Bass, P-Bass, Rickenbacker, and Musicman basses are presented alongside personality and genre tributes such as a classic Motown bass, a gospel bass, Jaco’s Fretless, and Macca’s Hofner. One upright bass and three slap basses are also included. In the synth bass category, more than a hundred patches are provided, ranging from thumping vintage synth basses to techno basses and esoteric fresh creations to spice up your tracks. Each instrument has been meticulously mastered and programmed for maximum musicality when placed in a mix.